Metaphors are key to a good calypso. This was the message calypsonian Dr Hollis Liverpool, (Chalkdust) in his lecture delivered at the first a series of monthly lectures being hosted by the Tobago Writers Guild in collaboration with Tobago Library Services. recording over 300 calypsoes and participating in several national and international calypso competitions, he has seen the significance of using metaphors to create a great calypso. 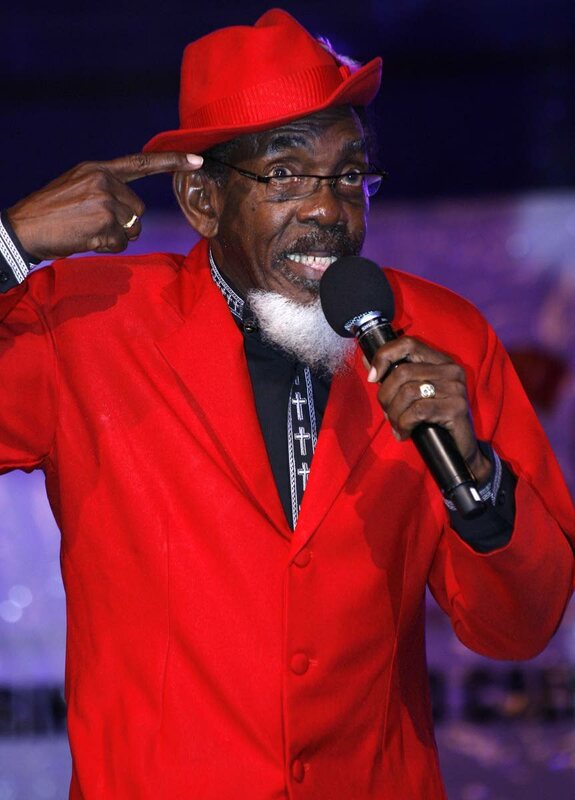 “To be a good calypsonian, you must be a good metaphor man so that you will be able to mix and be very creative with words. A lot of people are not creative, and they don’t see the metaphors. Using metaphors is the best way to say the inappropriate appropriately and get away,” he said. “What is happening today is when we are judging the calypso, the emphasis is always on the metaphor and so many person still feel to understand the calypso, you have to use the metaphor. The metaphor has become so important that judges look forward to calypsonians using them. In a brief review of the history of calypso, Chalkdust discussed the influence of West African music on extempo and call and response songs. “We have extempo which is also part of Africans. Extempo singing didn’t start with Gypsy. Since in the 17th and 19th century people have been singing extempo. We had West Africa Syrians right here in Trinidad and Tobago from Diego Martin. All the call and response songs such as ‘wey the man with de hammer gone’ is African music but they saying David Rudder started it. Call and response and rhythm, that’s part of the African music, Trinidad and Tobago might have put in other things. “I tell calypsonians when you are taking part in calypso you are taking part in West African people thing,” he said. Liverpool said he met a professor once in the US who was playing his music but he didn’t know who the calypsonian was. “He said he couldn’t believe all this music was in Trinidad and Tobago, he thought it was only in Africa. I can tell you one of the hardest things to play is calypso, because of the way we break up the syllables, an outsider will tell you that. “The calypso is a very important piece of West African music filled with Africanism but it came into the tents and it’s inside the calypso tents they began to judge it. It was the businessmen who … began to give a prizes for best dress, best chorus and more people became interested in learning and participating. Reply to "Chalkie: Metaphors key to good calypso"